In a large bowl, combine ground beef, cracker crumbs, onion, egg, milk, ginger and salt. Shape mixture by rounded tablespoonfuls into meatballs. Heat olive oil in a large skillet over medium heat. 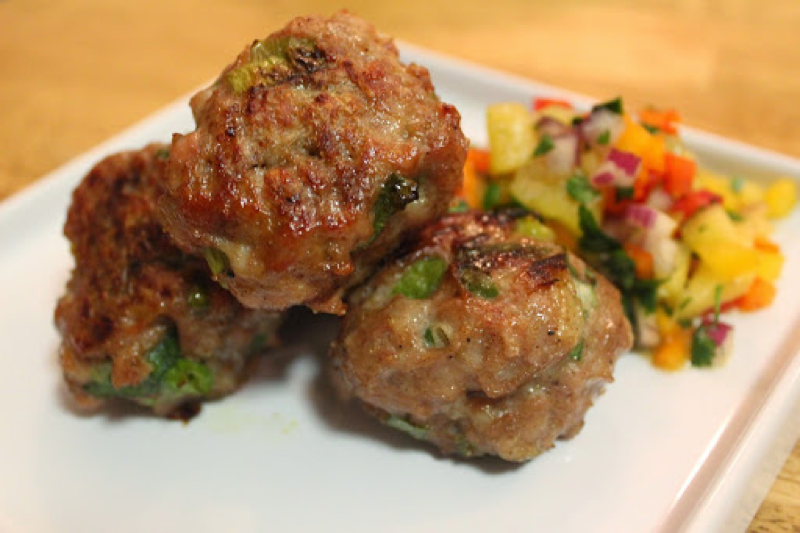 Place meatballs in skillet and cook until evenly brown, and meat is no longer pink. Drain excess fat. Mix until smooth, then pour into the skillet with meatballs. Cook, stirring constantly, until mixture thickens and boils, about 5 minutes. Stir in the green pepper and pineapple chunks. Heat through.